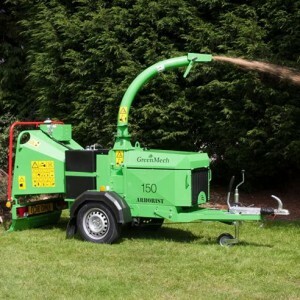 Categories: Gardening & Landscaping, Shredders / Chippers. 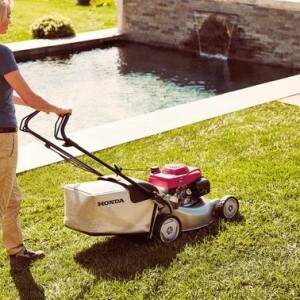 The Honda Izy 416 PK lawn mower is a 16″ (41cm) pushed machine and is perfect for the compact lawn, or where there are lots of obstacles, bushes or trees to cut around. With Izy, intuitive operation means there is nothing to learn. Petrol and oil levels are easy to verify. The pull start is specially designed to be virtually effortless. Flexible, double-lined cables make adjustments easier and more precise. As a general rule the 41cm Honda Izy mower caters for gardens less than half a tennis court in size. A push model is ideal for smaller gardens kept regularly in good trim. The FS55 weighing just 4.9 kg is designed for comfortable operation for larger areas of grass / light brush work around the home and garden. This machine features: Ergo multi-function control, a BIKE handle, tool-free handle adjustment, 2-MIX engine and is supplied with a single strap harness. 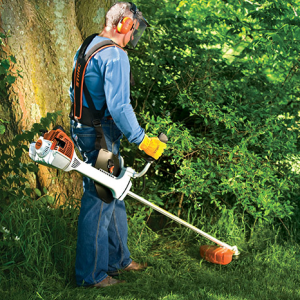 The FS55 comes fitted with the MOWING head (25-2) with the option to fit a metal grass cutting blade at aditional cost. 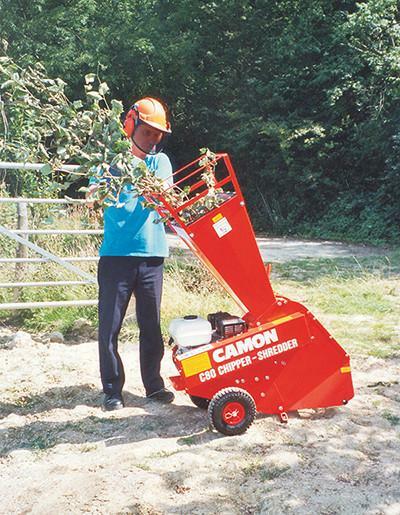 In its category, this is probably the most successful and sought-after 150mm (6inch) wood chipper on the market. Available in two Kubota Diesel powered variations of 26hp or 34hp, this is the machine that has set the standards for quietness of operation, durability and performance.